Jeff adds to the ClAM COllECTIVE with these OPEN WHOLE BELLY ClAMS, discovered on Boston Post Road in Westbrook, CT. Ironically, Jeff was just there for the Prime RLB. When I met my now wife Malya, part of my responsibility as a suitor was trying to impress her father. Now that Malya and I are married, and my father-in-law knows that I am the infamous blogger behind lowercase L-gate, the tables are turned! 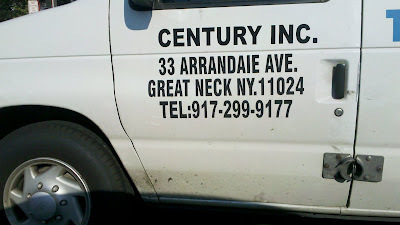 After nearly a year of searching, Arthur Kurzweil, achieving one of the greatest highlights of his modest career, finally discovered a Class A lowercase L, and it was closer to home than he could have imagined. 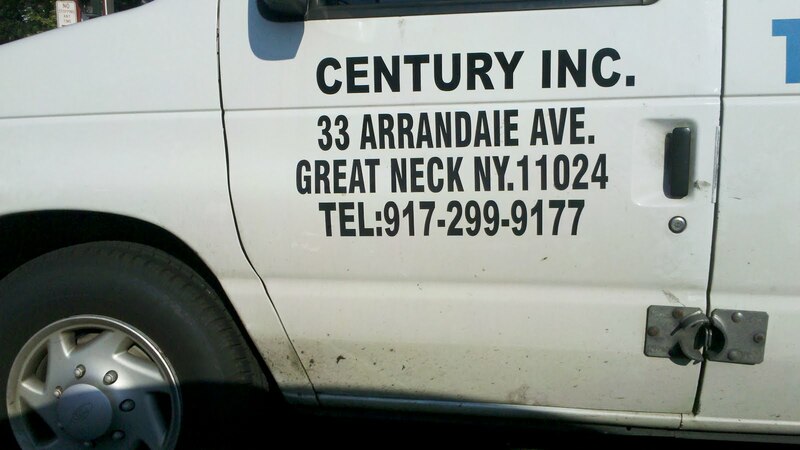 Residents of Great Neck, NY might get lost on their way to Century Inc. at 33 ARRANDAlE AVE. Perhaps for the better. In the spirit of Cory Arcangel's "Sorry I Haven't Posted" blog, cataloguing lazy bloggers' posts in which they apologize for not blogging ... SORRY I HAVEN'T POSTED! My only excuse is that I've been busy trying to make a living as an artist, travelling, and being sued over my cartoons in New Mexico ... long story, I'll save it for another time. Anyway, I have a backlog of your lowercase L's that need to be shared with the world, if we are ever going to blow the lid off this worldwide capital conspiracy. So to restart, here's one of my own. I noticed this late-edition lowercase L on the Open Space Technology bulletin board at the ROI Summit 2011 for Jewish innovation in Jerusalem this summer. 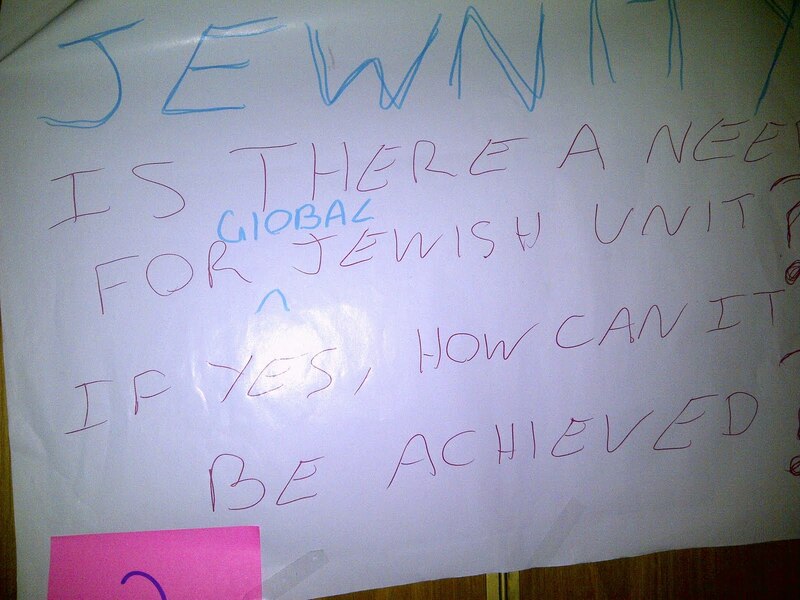 Fellow conference attendee Shelby snapped this photo for me, "IS THERE A NEED FOR GlOBAL JEWISH UNIT?" (I'm assuming that was meant to be UNITY, based on the punny topic header which I can just make out as JEWNITY ... and the fact that a Global Jewish Unit is HIGHLY unnecessary). This GlOBAL disaster may be a result of post-haste afterthought, but there's still no excuse.